I must ask how one knows whether “True Spirit” is not a deceiving one? Mysticism’s fatal flaw is that it naively assumes that Christians having subjective religious experiences must therefore be having Christianexperiences that are truly from God—even if the experiences were provoked through unbiblical practices similar to those used by pagans. Foster’s teachings have taken the church as far away from the Reformation principle of sola scriptura as the Roman Catholic Church ever was. The only thing left is for them to bring us all the way back to Rome.Christianity Today praises Foster for pointing us in that direction. Who is left to defend the principles of the Reformation? One would think Reformed theologians are, but they aren’t doing their job. 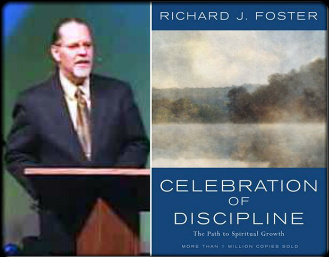 In the last CIC article we mentioned Reformed theologian Donald Whitney who wrote: “Richard Foster’s Celebration of Discipline has been the most popular book on the subject of the Spiritual Disciplines in the last half of the twentieth century. The great contribution of this work is the reminder that the Spiritual Disciplines, which many see as restrictive and binding, are actually means to spiritual freedom.”16That from a teacher in a Reformed seminary? Republished with permission. The original appears right here.